Super moist and sweet, tangy lemon bars with a serious jolt of protein! 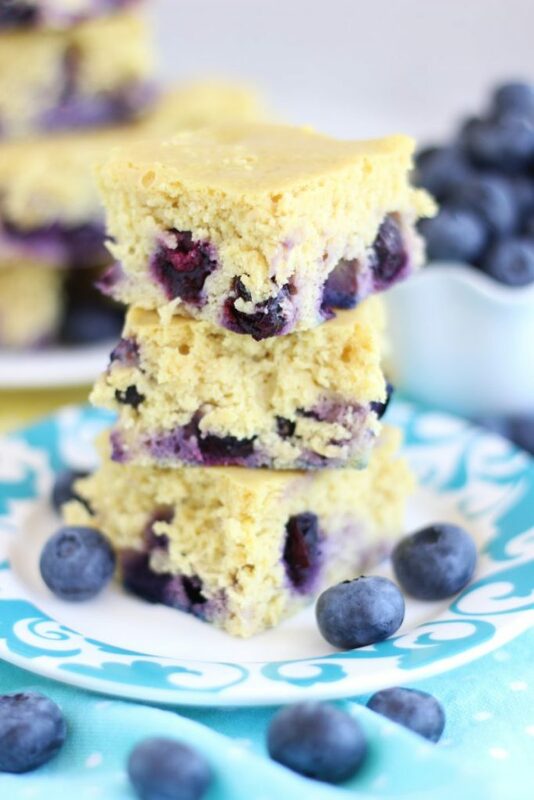 These Lemon Blueberry Protein Bars are high in protein and low in sugar, perfect for breakfast or a healthy snack! 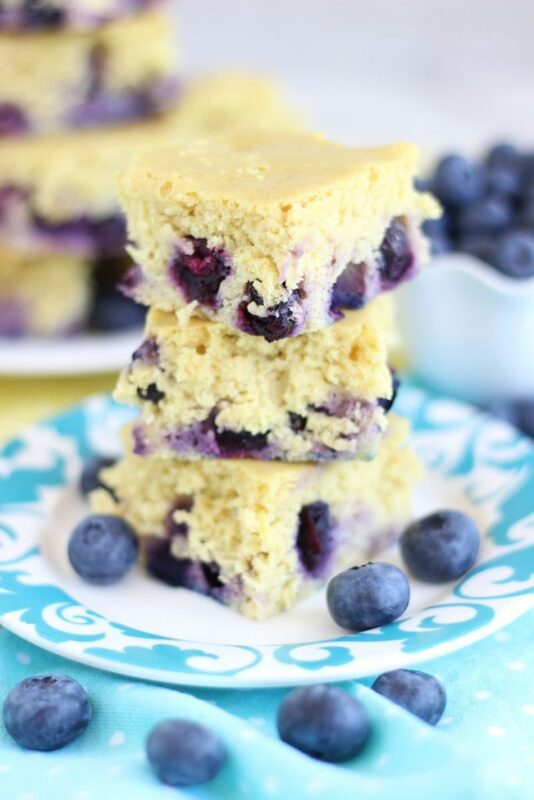 These Lemon Blueberry Protein Bars are ready in about 30 minutes! I bought a new laptop a few weeks ago. I think I might’ve mentioned this already? I went for a Mac (thank you for those that recommended it! ), and I really love it. I got a MacBook Pro, and I adore it more than a person should adore a material object. It’s just so fast, user-friendly, and portable. But the transition to a new computer wasn’t without a few hitches. I really didn’t have problems moving from a PC to a Mac and knowing what the heck I was doing…. that’s what I was worried about. The struggle had more to do with moving data. If I have a primary gripe about running a food blog, it has to do with managing data. The volume of photos, and the various formats I have to store, and now with venturing into video… the size of files is insane. It took days and days to move everything over. It didn’t make it over as organized as it started out either, and that sent my OCD mind into a total frenzy. There was also that one moment where I accidentally transferred about 500 folders to my desktop as icons. And at one point, I inadvertently opened about 400 folders to view their contents in one fell swoop – that was fun. 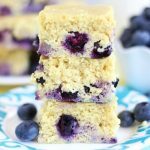 In the course of making this transition though, I discovered a few recipes that I made last summer or early fall that I never posted – among them, these Lemon Blueberry Protein Bars. I am sooooo prone to doing this! 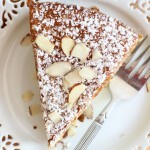 I forget about recipes, and find the photos months later. Eek. 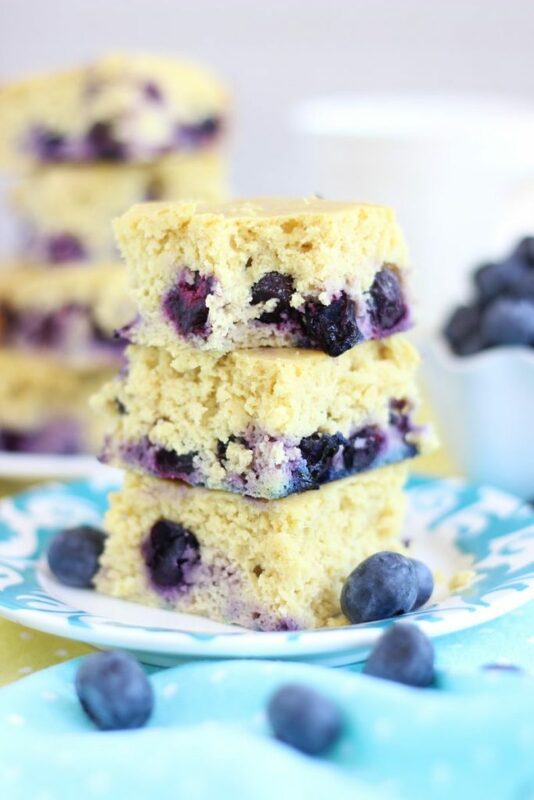 I suppose the timing for these Lemon Blueberry Protein Bars is pretty perfect because everyone is loving lemon and blueberry things this spring. 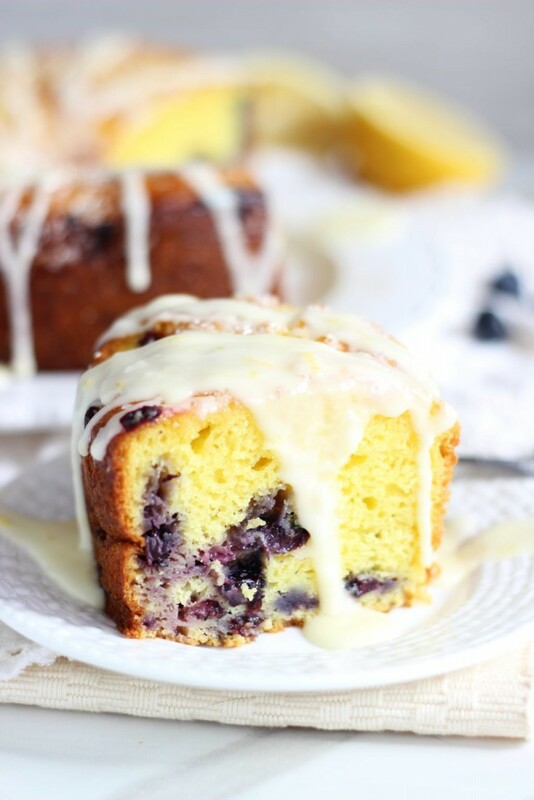 I know I am, and I’ve already posted this Lemon Blueberry Cheesecake, and this Lemon Blueberry Pull-Apart Bread recipe. 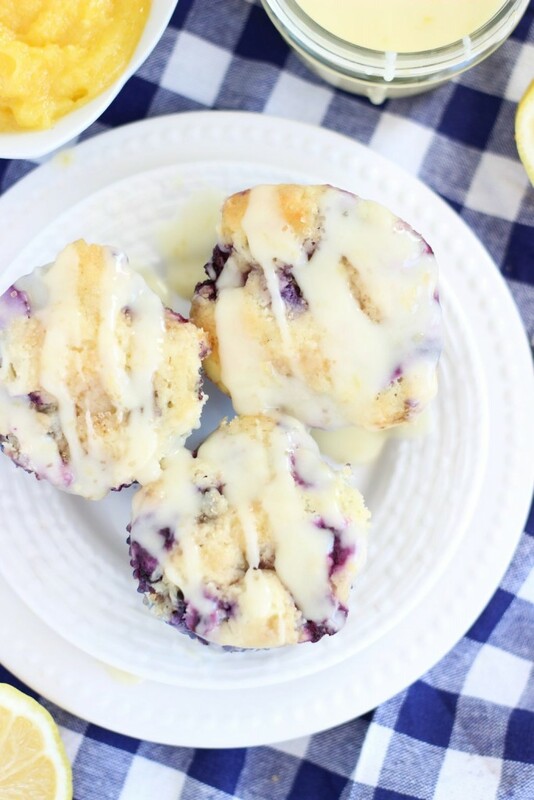 Update: ALL my Lemon Blueberry Recipes, plus a few other favorites. 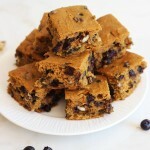 I’ve made these Lemon Blueberry Protein Bars for so many years now. I found the recipe for lemon protein bars in a health magazine around 2010 or so, and I’ve never quit with them. They’re unbelievably moist, and they are so strong on lemon flavor. They’re nice and sweet, but really tangy too. I love lemon things so much, and I love protein, so a healthy lemon protein bar is right up my alley. 🙂 And with fresh blueberries (in season again – yay! ), these are next level. 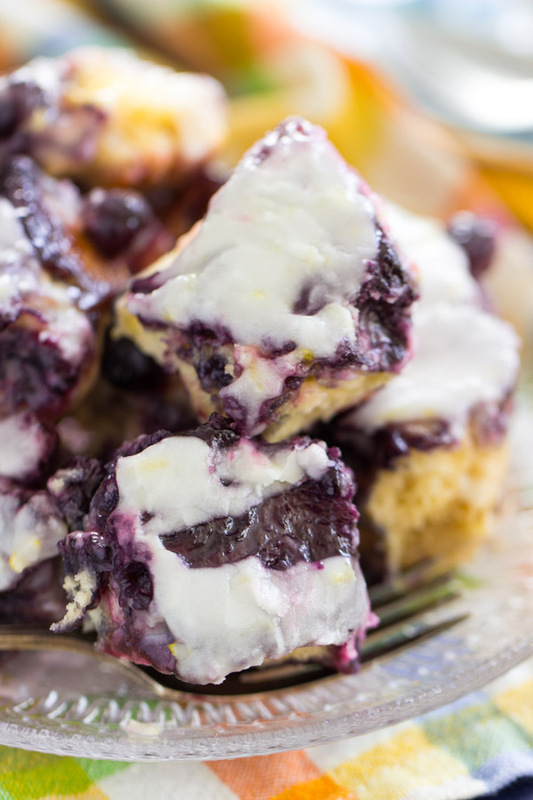 I don’t share as many healthy recipes on the blog as I could, but I do have quite a few of them, and these Lemon Blueberry Protein Bars are a staple. 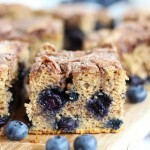 They use oat flour, egg whites, unsweetened almond milk, and protein powder for the healthy carbs and protein boost. 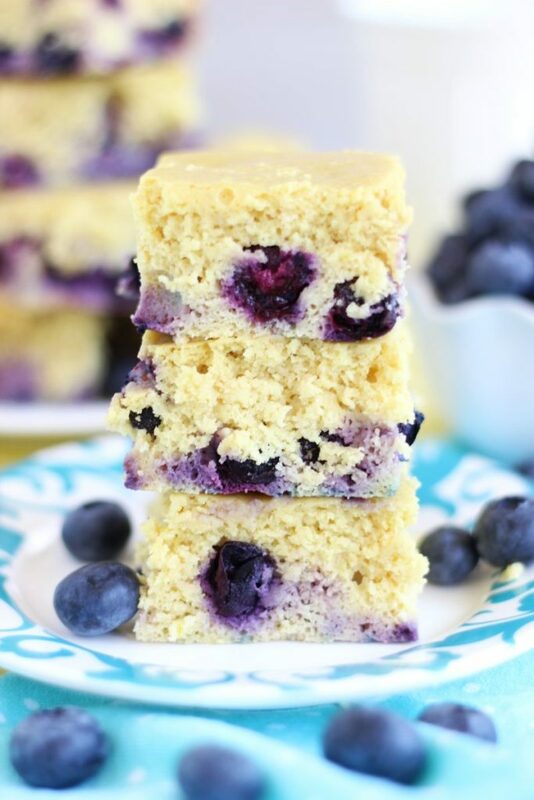 You can have a pan of these Lemon Blueberry Protein Bars ready in about 30 minutes altogether, and they are great bars for breakfast or snacks. 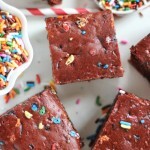 They’re so good, you will have no idea they are healthy! 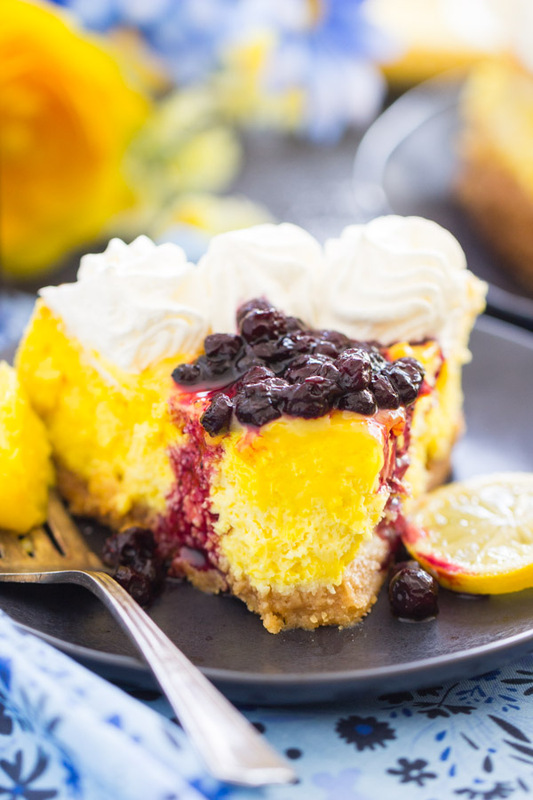 Super moist and sweet, tangy lemon bars with a jolt of protein! 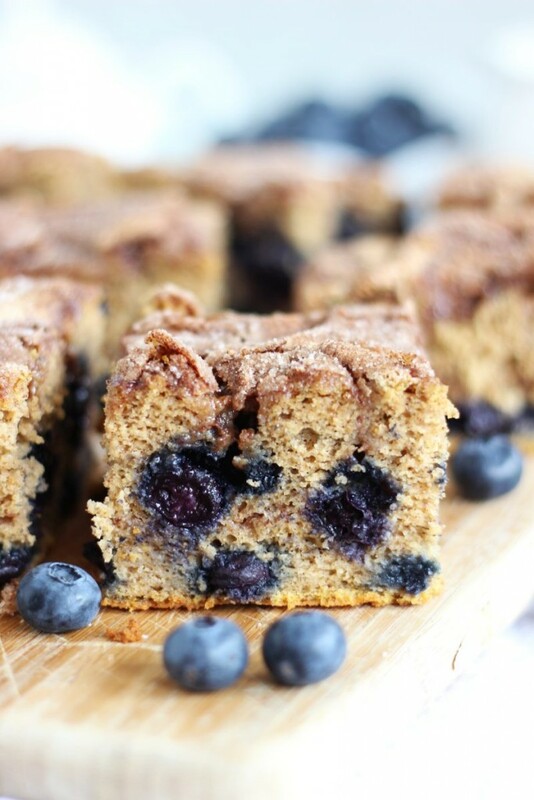 High protein and low in sugar, perfect for breakfast or a healthy snack! In a large bowl, whisk together oat flour, protein powder, salt, baking soda, and Crystal Light. In another large bowl, whisk together lemon zest, egg whites, sugar, applesauce, and almond milk. 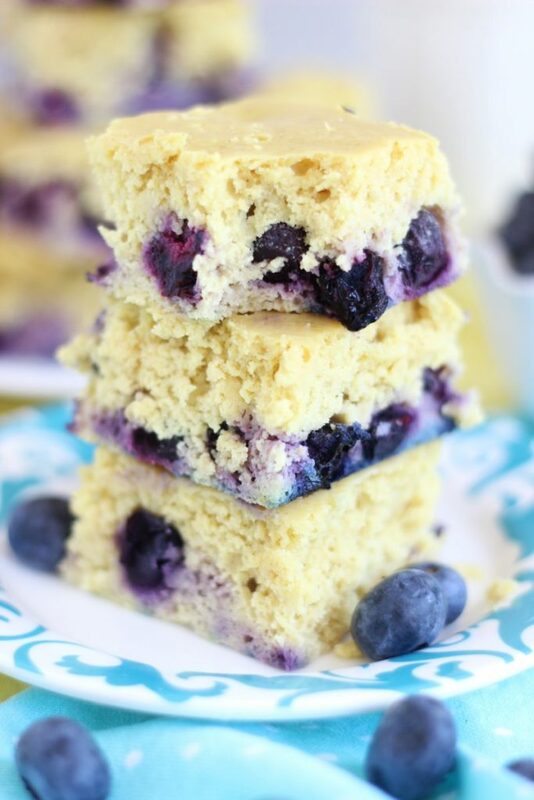 You may also like these recipes if you like these Lemon Blueberry Protein Bars! These sound delicious! 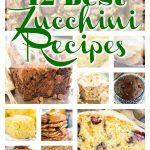 I want to make a batch for breakfasts this week! Eeeeeek – I’m sorry, I don’t have any suggestions. I wish I did!! I’m not very familiar with vegan baking. I have heard that you can substitute applesauce or mashed banana for some egg, but I’m not certain. I wish I could be more helpful! Good luck!